Played at 2014 PCFF to celebrate the 25th anniversary of one of Japan’s masterpieces of animation. One of the most endearing and internationally renowned films of all time, a film that Roger Ebert called “one of the five best movies” ever made for children, “My Neighbor Totoro” is a deceptively simple tale of Satsuki and Mei, two young girls who move with their father to the countryside while their mother convalesces in a nearby hospital. They soon discover that the surrounding forests are home to a family of Totoros, gentle but powerful creatures who live in a huge and ancient camphor tree and are seen only by children. 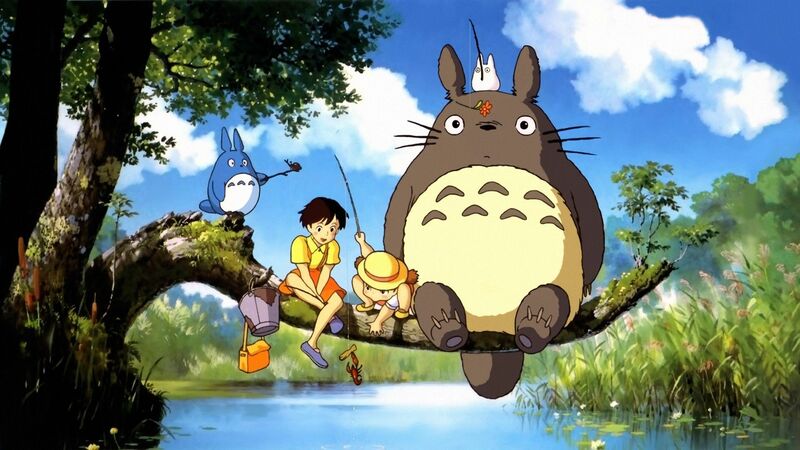 Based on Miyazaki’s own childhood imaginings, Totoros look like oversized pandas with bunny ears, the largest of which takes the girls on spinning-top rides through the tree tops, introduces them to a furry, multi-pawed Catbus—a nod to Lewis Carroll’s Cheshire Cat—and ultimately brings the two much closer together as sisters. Beneath the film’s playfulness and narrative simplicity lie depths of wisdom. As with much of Miyazaki’s work, at its core “My Neighbor Totoro” is about humankind’s relationship to the Earth. The film is infused with an almost spiritual reverence for the power of nature (a philosophy tied to the ancient Shinto belief that every object in nature has a soul). Everything that surrounds us, from light-dappled tree groves, to the marvelous clouds, echoes the density and lusciousness of life. Protected by the Totoros, we know no harm will come to our two heroines in the forest’s sunlit glades and mysterious shadows. The girls may be awed by the power and majesty around them, but they understand instinctively that nature has no malice. The viewer is left with a sense of wonder at the beauty, mystery and preciousness of the world all around us.